Founded in 1972, the St Ives Photographic Club is a friendly and active club in Cambridgeshire, dedicated to the encouragement and development of photography in the community. The club meets at 8pm every Tuesday evening between September and April in the Free Church, St Ives. We also have an active programme of outside events from May to August. Our autumn/winter programme of meetings offer a lively mixture of talks from both amateur and professional photographers, practical evenings, internal competitions, practical demonstrations of photographic techniques and equipment, and competitions with other clubs. To see more details of our programme, look under the events section. Our summer programme is focussed on a series of outdoor activities across a range of photographic subjects. 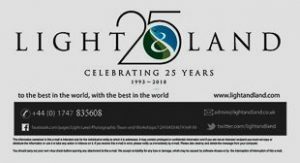 Members are keen to share their expertise over a wide range of photographic techniques and subjects, from natural history and landscape to creative work. If you are interested in photography and live in St Ives or the surrounding area, this is the club for you and we welcome new members who enjoy photography at all experience levels, young and old, amateur and professional. For details of membership click here.